With the window for mitigation strategies to forestall climate change rapidly closing, we are increasingly talking about adaptation. 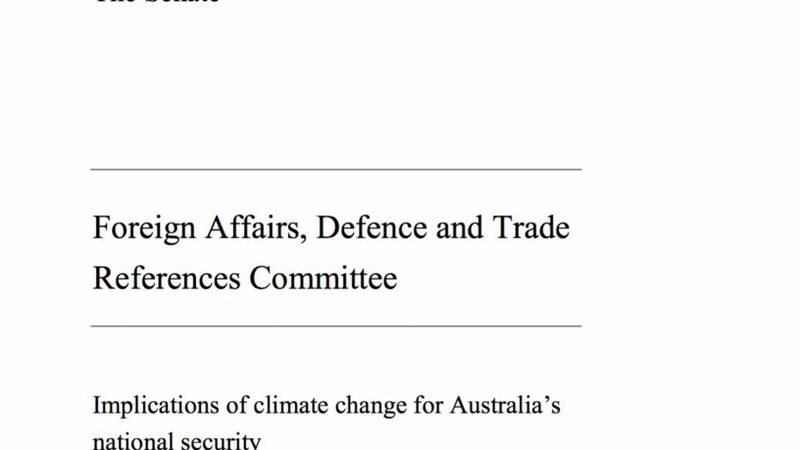 So how does Australia adapt to the changing international security risks that climate change brings? Admiral (Retired) Chris Barrie, Adjunct Professor with the Australian National University, joined the Mag to talk about the latest Senate Foreign Affairs, Defence and Trade References Committee report 'Implications of climate change for Australia's national security'.